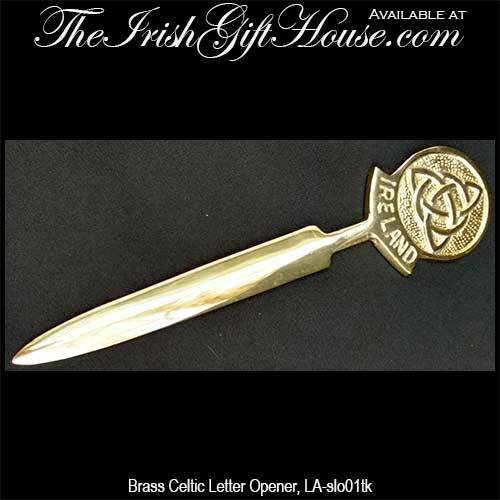 The Celtic letter opener is constructed of solid brass and measures 1 3/4" wide x 7 1/2” long. The design features a Trinity knot and it is enhanced with the word Ireland. 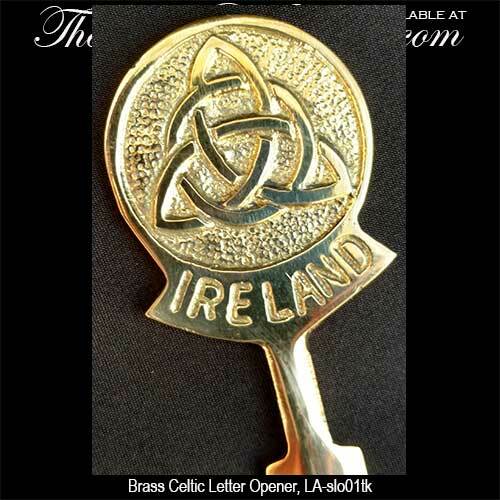 The double sided Trinity letter opener is gift boxed with a Celtic knot history card that is compliments of The Irish Gift House. This Irish letter opener is made in Ireland by Liffey Artefacts.